For nearly 60 years, British born artist David Hockney has pursued a singular love for painting. Now, New York’s esteemed Met Museum is presenting his most iconic works from 1960 to the present, in honor of his 80th year. David Hockney is a glorious and absorbing exhibition that offers a delightful overview of the artist’s achievements across all media, including painting, drawing, photography, and video. “From his early experiments with modernist abstraction and mid-career experiments with illusion and realism, to his most recent, jewel-toned landscapes, Hockney has consistently explored the nature of perception and representation with both intellectual rigor and sheer delight in the act of looking,” writes The Met. 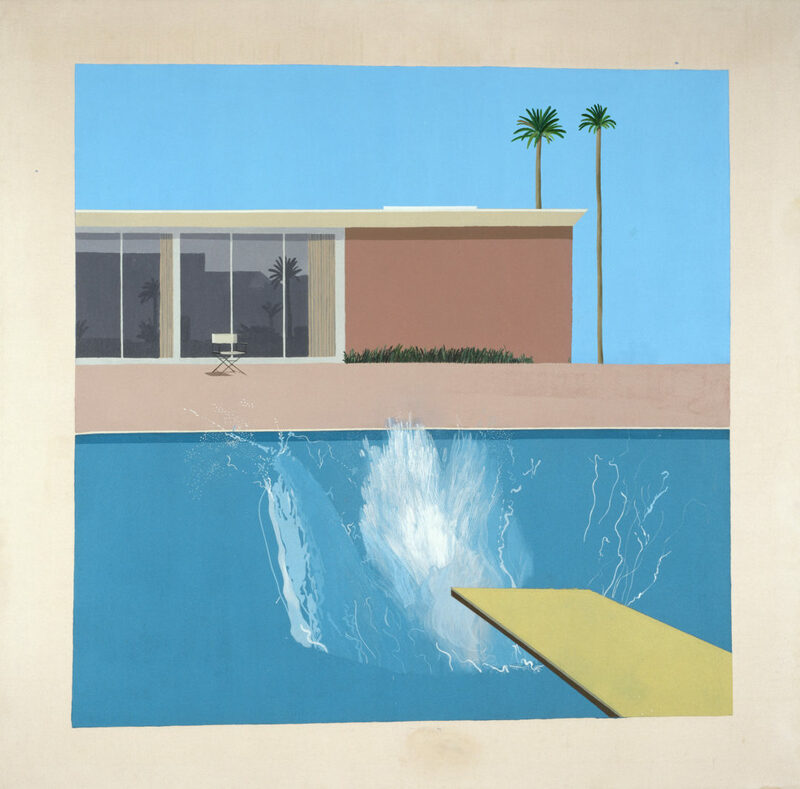 Most astoundingly is the fact that Hockney hasn’t let up in his later years. His recent large-scale paintings of vibrant Yorkshire countryside scenes and his California garden, which nod to the works of Van Gogh, Munch and Matisse, are as engaging as ever. David Hockney is on now and runs until February 25, 2018. If you’re in Los Angeles and not about to make it to the east coast, you can head over to The Hollywood Roosevelt’s Tropicana Cafe and experience an iconic Hockney piece first-hand. Surrounded by lush foliage and the hotel’s exclusive Cabana rooms is LA’s iconic Hockney painted pool. The million-dollar mural at the bottom of the pool was painted by Hockney in 1987.